Kronotex Limed Oak is an incredibly realistic looking embossed in register oak decor. The neutral tan and blonde colors blend with any color combination and the light colors will brighten the room. The large planks carry an AC5 rating and will create an elegant and durable floor suitable for residential and commercial spaces. Because this premium laminate flooring had 6 ft. long planks, installation is quick and efficient. 14.93 sq. ft. per case, 4 planks per case, Case weight approximately is 33.5 lb. 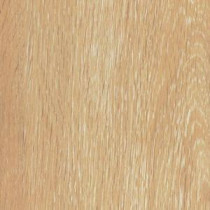 Buy online Kronotex Mammut Limed Oak 12 mm Thick x 7-3/8 in. Wide x 72-5/8 in. Length Laminate Flooring (14.93 sq. ft. / case) FB0000WMW2413ER, leave review and share Your friends.